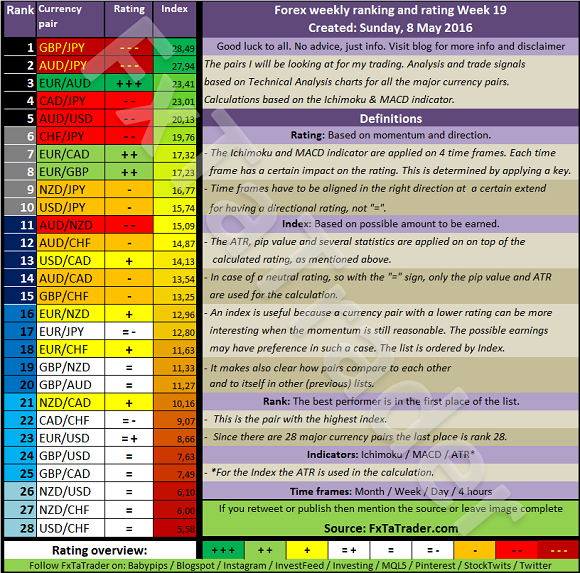 When looking at the Top 10 in the Weekly Ranking and Rating list we can see that for the coming week the following stronger currencies are well represented for going long: JPY(6X) followed by the EUR(3X) and the USD(2X). 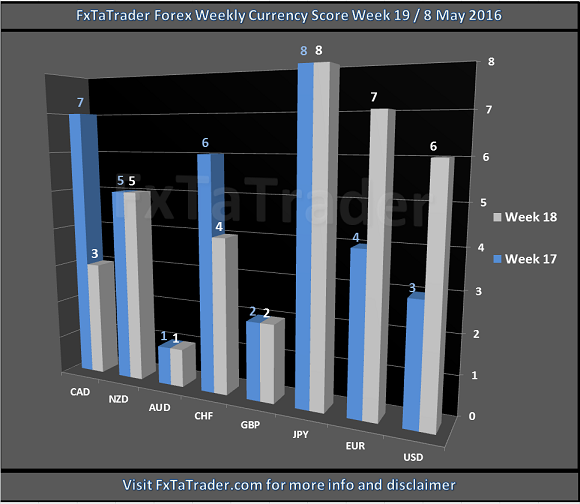 The weaker currencies are the AUD(3X) followed by the GBP(2X) with the CAD(2X). When trading with more than 2 micro losts then a good diversification is a good idea and depending on your bias it may offer opportunities by going long or short on a specific currency trading it against different other currencies.